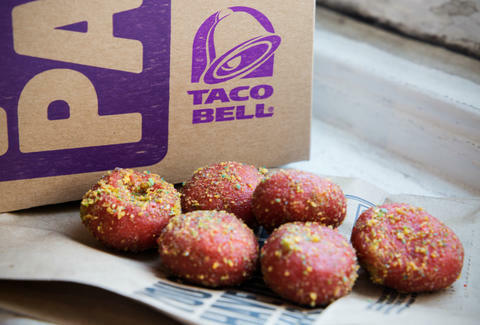 If you've ever stood in Dunkin Donuts and been disappointed at how un-crunchitized the munchkin menu is, prepare to have your dreams fulfilled: Taco Bell's latest entry into the dessert game, Cap'n Crunch Delights, are making their national debut on July 2nd. We got to try out 'em in advance, and now that the initial sugar rush has settled, we've got a few things to say about the experience. 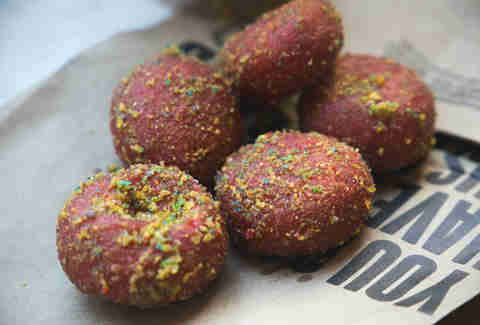 These little nuggets of rocket fuel bear a close resemblance to the Cinnabon Delights also offered by Taco Bell -- only they're dyed red to resemble Crunch berries, dusted with crushed Cap'n Crunch cereal, and filled with an off-white goo that's purportedly "milk-flavored." Goo is of course a technical term. So how does all this stuff actually taste? Well, remember when you were a kid, and you snorted a line of sugar in the school cafeteria because your friend dared you to? It's a lot like that, except instead of having sugar run down the back of your throat, the Crunch Delights coat your mouth with a combination of sugary textures and artificial flavors. But somehow, unlike the sugar-bump of your youth, this ends up being a pretty enjoyable experience. As for that "milk-flavored" filling, well, it's not exactly milk-flavored. Which is to say, it tastes like pure sugar. Again, though, this isn't necessarily a bad thing -- sugar is delicious. So long as you're not downing a 12-pack of these by yourself, you'll probably be alright. Maybe. It must be said, though, that beyond the trappings of cereal dusting and sugar in all its myriad forms, the overall Cap'n Crunch Delights experience is first and foremost a greasy one. 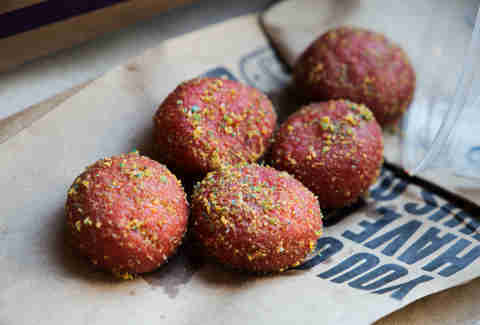 Moreover, if you don't eat these puppies while they're fresh and warm, you'll end up with soggy, cold sugar-balls. Which, you probably don't want. So eat 'em quick. 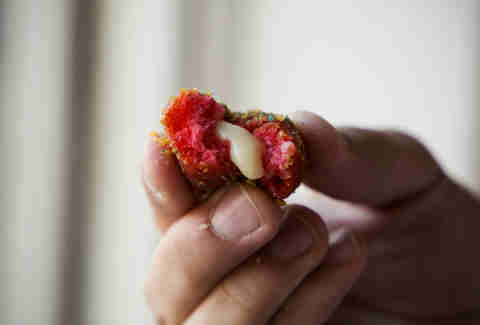 Basically, Cap'n Crunch Delights are to dessert what Taco Bell is to Mexican cuisine: a twist of tradition, albeit a potentially delicious one, that must be enjoyed immediately and without consideration for what they'll eventually turn into.